This is likely the first of many posts to follow. Yesterday, I met one of the hundreds of thousands people incarcerated in jails across California. It was a brief interview, and only three questions were asked. Time was not something we could spare, and we apologized for taking so much of his time with even these three questions. He joked, and said, "I got nothing but time." The questions asked were probing, but careful. Tell us about your experience as someone incarcerated. From your perspective, what is it like to have these (educational) classes here? What are the mandatory classes you have to take? The questions weren't loaded, but the answers came freely from a mind that had had time to contemplate and introspect, from a human being who saw these classes not only as having high value, but also as something that has caused him to self-reflect so tremendously that he not only revealed his understanding of how he arrived here, behind bars, heavy metal doors, and thick glass windows, but also a deeper understanding of his place in this world. 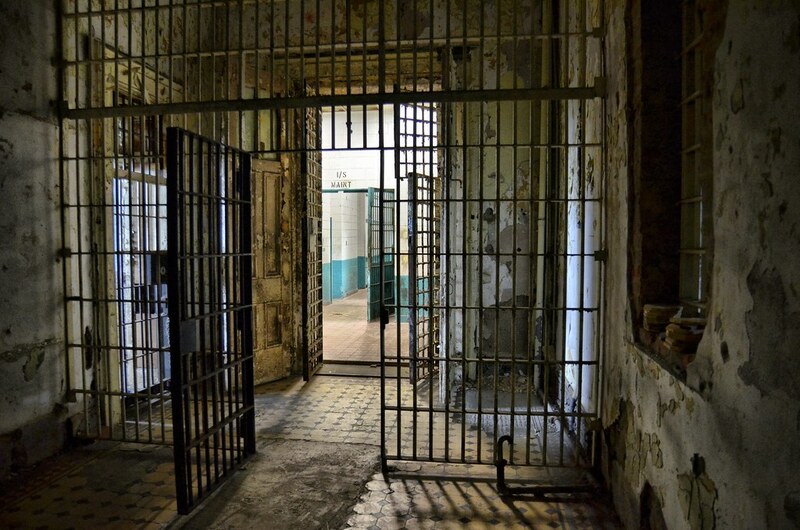 He called the prison experience one of "sensory depravation" and highlighted the lack of mental, physical, visual, auditory and social stimulation. It is easy to get depressed, to "become numb" while inside. The classes, whether it's the (very rare) yoga class, high school education class, life skills classes or classes on addiction and abuse (those two are mandatory), all of them are valued so highly because they offer stimulation. Because of this, they are regarded as privileges and will only be offered to those who, for lack of a better word, behave. However, beyond this stimulation-in-the-form-of-a-class trade for good-behavior-from-an-inmate, he revealed such insight that I was truly inspired to believe that people can grow, learn, and see themselves and the path they've taken more clearly, perhaps even choosing a new path for when they are released. Most impressively, his self-awareness of his behaviors and choices that led him to incarceration were insightful and mature. There has long been a saying, revived again and again in different religions, that goes roughly like this: The prison you live in has no bars; it is a prison of the mind, the heart, the soul, and the only jailor there is yourself. The business of jail, of prisons, of correctional facilities isn't so simple, and it isn't obvious if it is fair or just because it is made up of people, good and bad, greedy and charitable. The same can be said of the inmates, and I'm sure I'll be learning a lot about those dynamics in the years to come... if I end up working with this group of people. But I think it is fair to say that, at least for the one inmate I spoke to, this system of programs, classes, and 'doing time' has provoked positive change. I have a feeling he isn't the only one that has seen the "prison of the mind" while behind bars. it seems like, for those who are willing, the keys to personal change are available to them. I met one of the hundreds of thousands incarcerated jail across California I asked only three questions. it was a brief interview and we apologized for taking so much of his time with even these three questions the questions asked were probing but careful.